For the record not to be broken it would take something insanely unlikely – a large volcano erupting somewhere on Australia's east coast, for example – pushing temperatures on Saturday below zero. Of course, there is always chaos and variability involved in weather. And the current El Niño event in the Pacific Ocean is a factor. In a first for Australia, climate scientists at the University of Melbourne have undertaken a rapid assessment of computer simulations and found global warming significantly increased the odds of this record being broken. In short, climate change is likely to blame. In Victoria, human-caused climate change has made it at least six times more likely the average daily top temperatures in October will be at a record level. Across Australia, it is at least ten times more likely (The results are further explained here). It is virtually certain this month will also break the record for average October temperatures (as opposed to just the maximums). 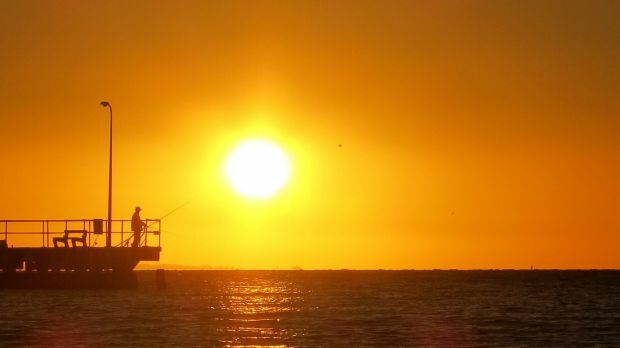 Professor David Karoly​, one of the researchers, told Fairfax Media the modelling found similar results for global warming's influence in that record too. For a long time, scientists have been hesitant to make statements about individual extreme weather events. Some still are. But over the last decade or so, scientific teams around the world, lead by the University of Oxford, have developing a computer modelling technique to draw out the influence of climate change on individual events. They run two types of atmospheric model simulations – one representing the climate system as it existed in pre-industrial times before humans caused mass greenhouse gas pollution, and one as it is today. For the October temperature records in Australia, the model simulations also factored in El Niño. These simulations are run thousands of times. From there, the likelihood of any one event occurring in the two different worlds is calculated. This can also be done ahead of time because it is based on probabilities of exceeding a current record, so the results are on hand if and when an extreme weather event occurs. "Climate change is already happening and is having a major impact on setting new records," Professor Karoly said. "What we've done that is really new and exciting is we can now do this analysis as the event is happening. We don't have to wait." 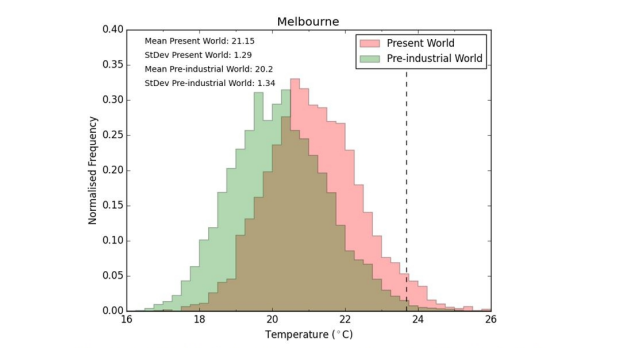 This graph shows the chances of higher October mean temperatures in Melbourne during an El Nino year are much greater due to global warming. The current record is show by the dotted line. Source: ARC Centre of Excellence for Climate System Science, University of Melbourne. The results for the October record have not been externally peer reviewed. Professor Karoly said that does not matter because the modelling technique has been reviewed. He likened this approach to weather forecasts, also not peer reviewed but generated by scientific systems perfected and reviewed over decades. 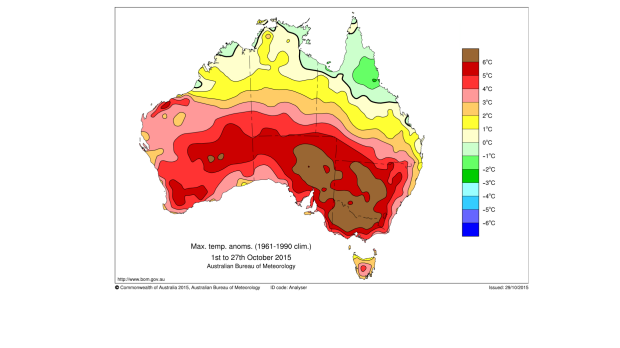 The previous record hottest mean maximum temperatures in October across Australia and for Victoria were set in 2014 and 1914 respectively (although the researchers behind this latest study are concerned about the reliability of the latter and instead believe 1940 was the likely Victorian record). The Melbourne record was set back in 1940.